Integrated Wealth Management Group sees each of our clients as unique individuals with very different financial situations and goals. We also understand that in any successful partnership each partner must master and perform their designated roles. Our role is to continually guide you as you work to preserve and build your hard earned assets. Your role is to make financial decisions that will help you pursue your goals. Our emphasis is on professional service, not sales. This helps ensure our clients' financial issues are properly managed. We complete a thorough analysis of each client`s objectives including cash-flow requirements, estate and retirement planning, investment goals, and risk tolerance before tailoring an investment approach. We are committed to building long-lasting relationships through diligent communication and by providing proactive and skillful strategic planning designed to address the client`s goals. 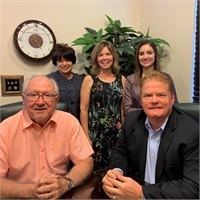 Our comprehensive services include Investment Management and Planning, Estate Planning, Retirement Planning, Education Planning, Business Planning, and Insurance Planning.